WASHINGTON, D.C. – January 8, 2014 – (RealEstateRama) — As of January 1, four additional state or U.S. territory agencies began using the new National SAFE MLO test, bringing the total number of agencies that use the test to 39. The U.S. Virgin Islands Division of Banking & Insurance. Twenty state agencies initially adopted the National SAFE MLO test in April 2013. 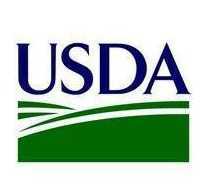 An additional 10 state agencies adopted the test in July 2013 and five more agencies adopted the test in October 2013. The test, which was first made available on April 1, 2013, combines both the national and state testing requirements of the SAFE Act and streamlines the license application process for mortgage loan originators (MLOs) seeking licenses in multiple states. For these adopting states, the new test replaces the separate, state-specific test. Also, a short version of the uniform state test, called the Stand-Alone UST, is available for enrollment until March 31, 2014. Since its release on April 1, 2013, more than 30,650 MLOs have enrolled to take the National SAFE MLO test and approximately 21,100 MLOs have enrolled for the Stand-Alone UST. More information on the National SAFE MLO test is available here. The Secure and Fair Enforcement for Mortgage Licensing Act of 2008 (SAFE Act) requires mortgage loan originators (MLOs) to pass the SAFE MLO test before they can be licensed with a state agency through the Nationwide Mortgage Licensing System and Registry (NMLS). Prior to April 2013, the test was comprised of two parts: a national component and a state component. In addition to passing the national component, MLOs seeking to hold licenses in multiple states were required to pass the state component for each state in which they wished to do business. Under the new National SAFE MLO Test with Uniform State Content, a license applicant who passes the test will not need to take any additional state-specific tests to hold a license within participating states. A separate version of the test, the Stand-alone UST, is available for existing licenses who may wish to seek licenses in additional states. To date, a total of 39 state agencies are using the UST. The remaining state agencies may elect to adopt the UST at a future date, but they are not required to do so. State agencies which choose not to adopt the UST will continue to require applicants to take and pass the current state specific test components. Catherine Woody, Senior Director of Communications, or 202.728.5733.